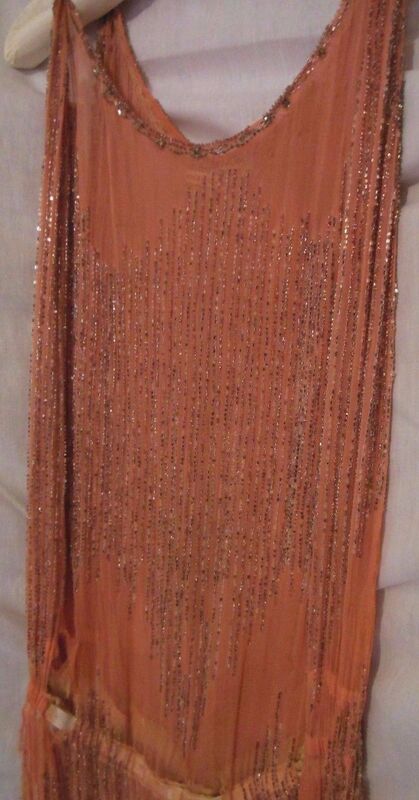 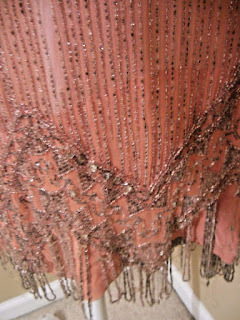 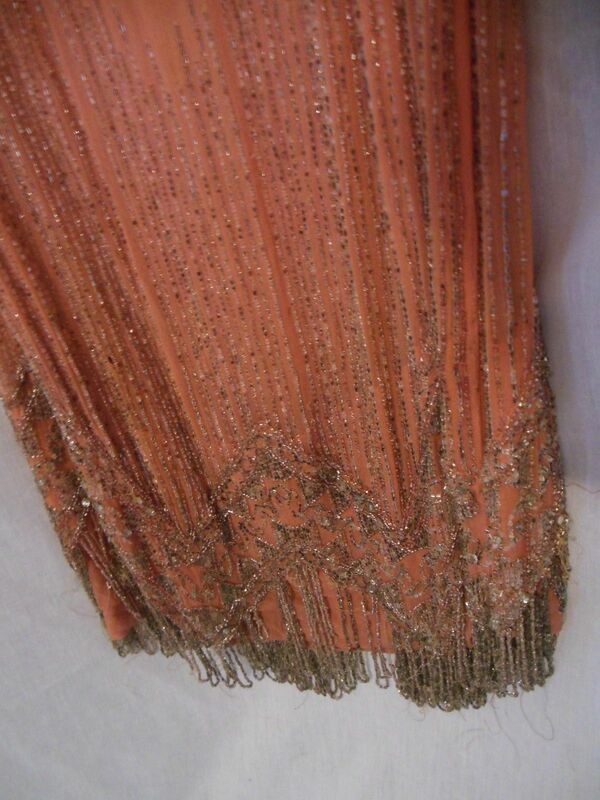 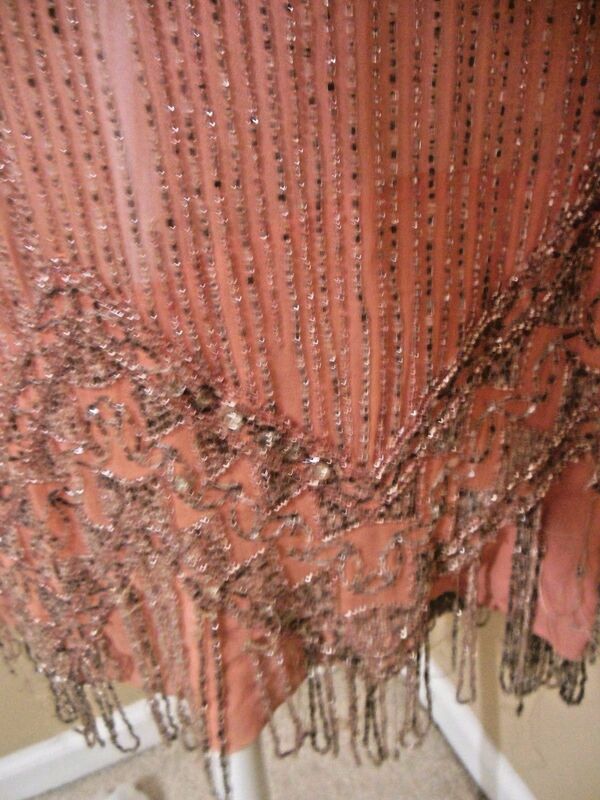 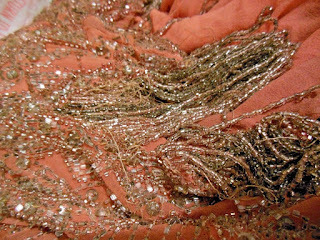 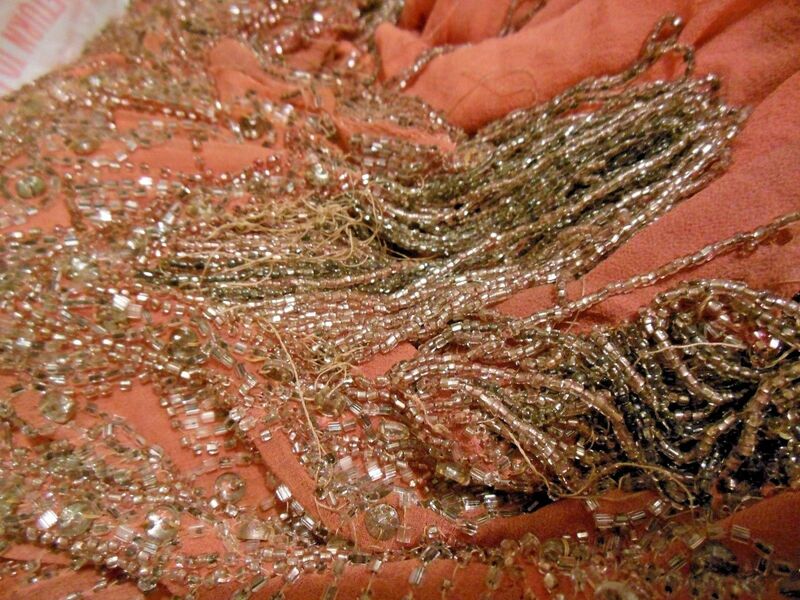 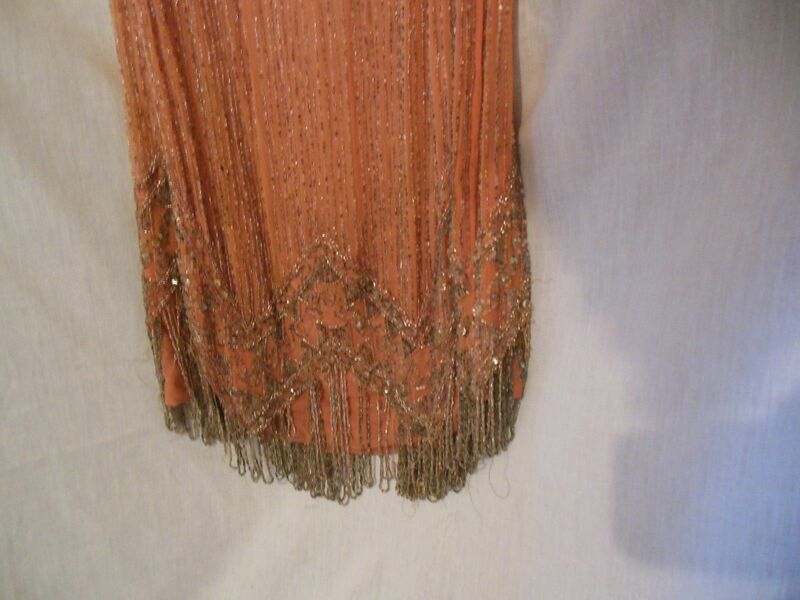 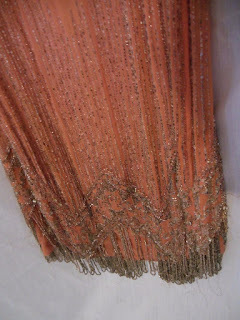 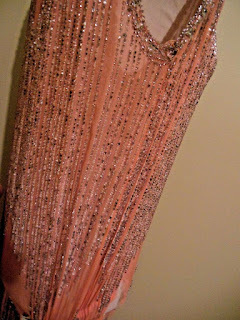 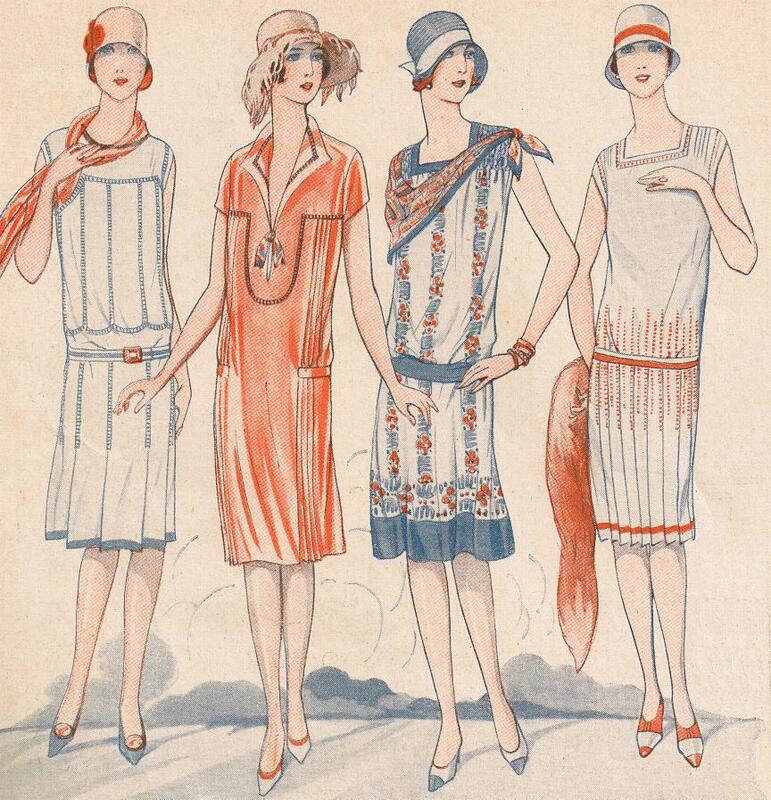 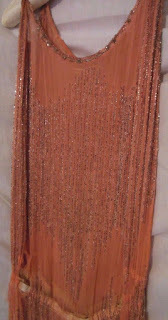 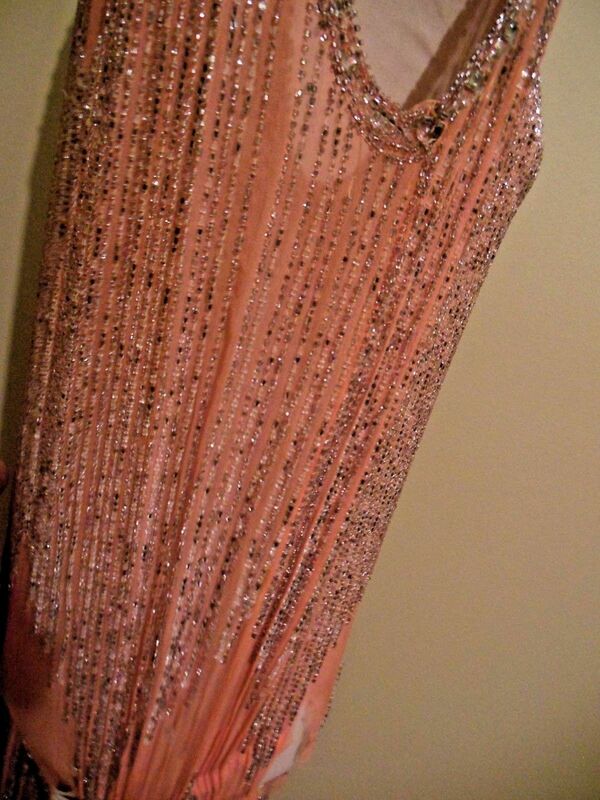 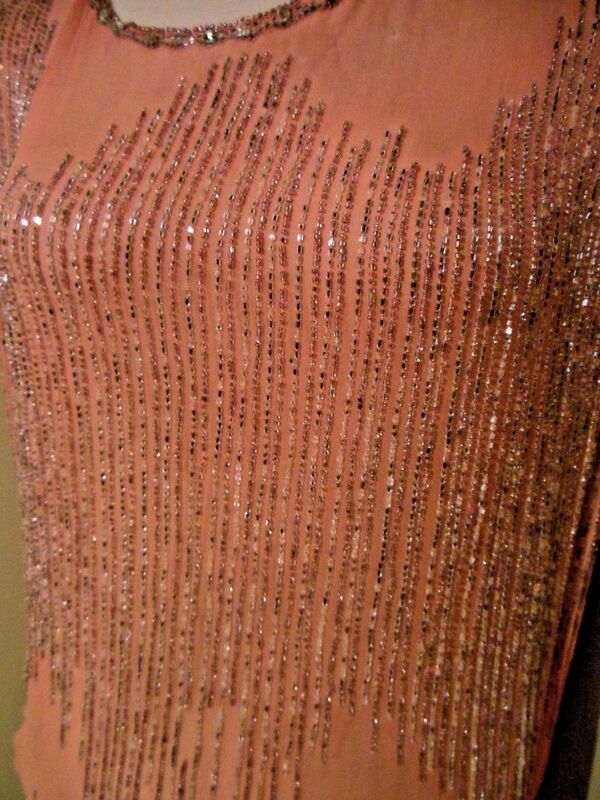 Offering a stunning vintage dress from the 1920's It is a unique shade of pink crepe with rows of hand sewn beading. 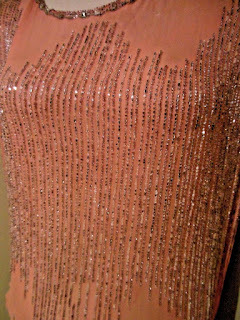 There are some condition issues with the typical shoulder tears. 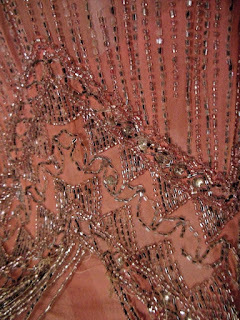 The drop waist also has and inner band to help support the weight of the beads but there is wear and some tears along the band. 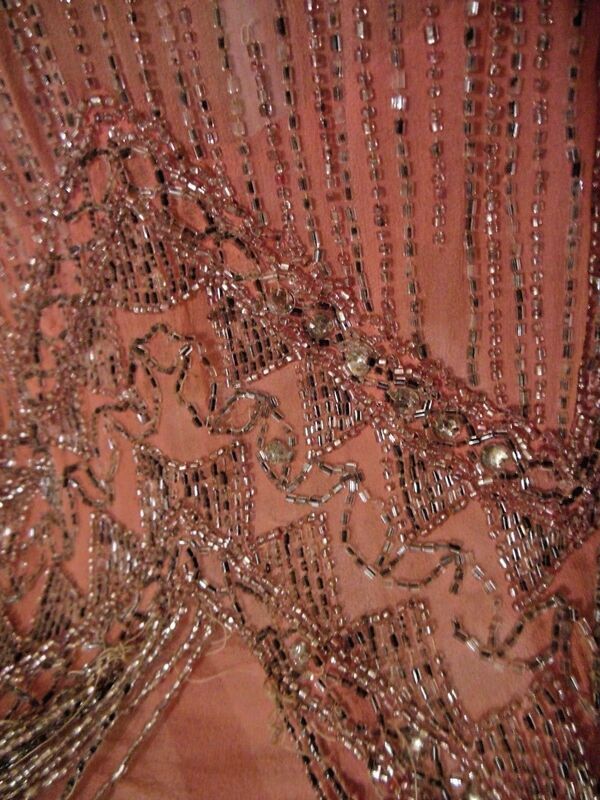 There are some beads missing with a bag of extra beads included with the dress. 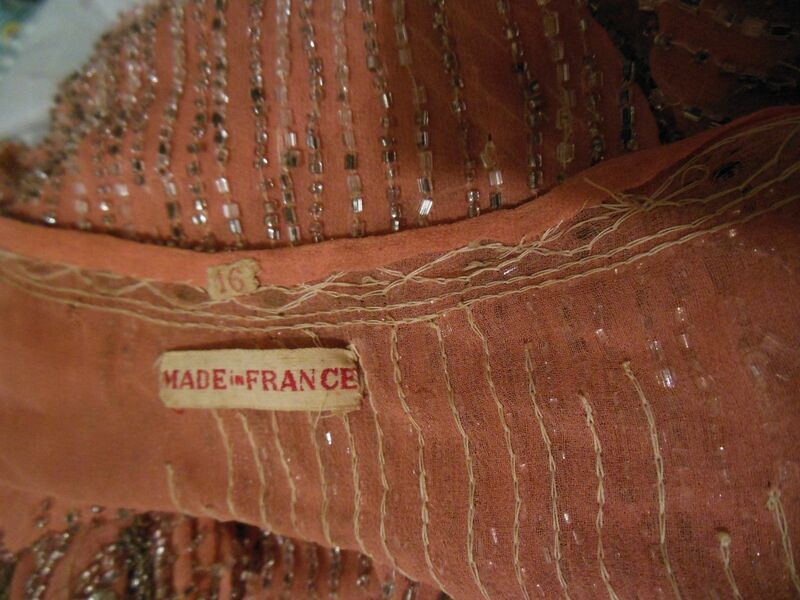 It is tagged Made in France with no color fade. 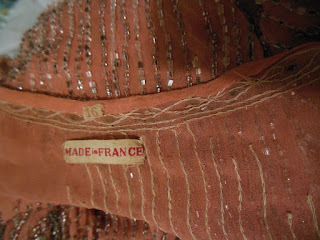 So pretty and worthy of restoration or for study!